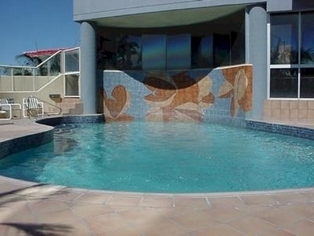 Beachfront Towers, located in the heart of the Sunshine Coast is a 12 storey, 44 apartment complex that has a 4 star rating by the AAA organisation. We are approximately 50 metres from the surf, situated between Mooloolaba and Maroochydore with fantastic views of the Pacific coastline from Mooloolaba to Coolum. 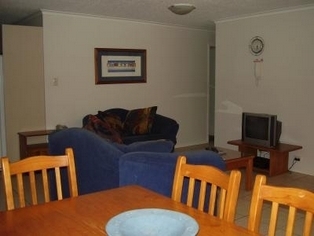 All the apartments are two bedroom, one bathroom and are fully self-contained with complete kitchens (microwave, dishwasher, wall oven, pots, pans, crockery, cutlery, electric fry pan, toaster, jug etc), laundry with automatic washer/dryer, dining and lounge with direct dial phones, colour TV and Austar cable channels. Units are supplied with a travel reviver pack of tea, coffee and sugar. 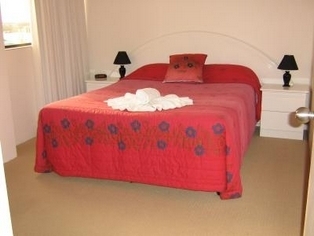 Linen is provided (sheets, towels, pillow cases & tea towels) and is changed weekly for longer stays. Other on site facilities include a heated pool, sauna, games room, secure under cover parking, roof top BBQ area with panoramic views of the coast, licensed restaurant and beauty shop. Quality and moderately priced restaurants, along with a sports bar and bottle shop are all within walking distance not to mention McDonalds, Eagle Boys Pizza and Sizzlers for the children. 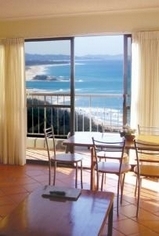 Fully self contained 1 bedroom apartment with ocean views, air conditioning and cable TV. Linen provided. 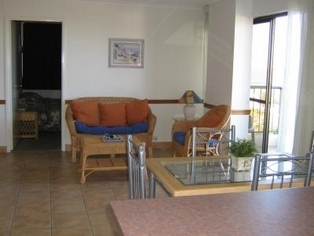 Fully self contained 2 bedroom apartment with ocean views, air conditioning and cable TV. Linen provided. One undercover car park is allocated to each apartment in our secure basement car park (maximum height 2.15 metres). On-street parking is available for additional vehicles. 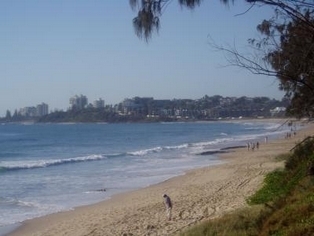 Take the Mooloolaba turnoff onto the Sunshine Motorway. At Mooloolaba exit, take left lane to Maroochydore. Take next exit to Maroochydore/Mooloolaba. Turn right at traffic lights (top of hill) into Mooloolaba Road. Turn left into Pacific Terrace (about 1Km on). Wind down Pacific Terrace to Alexandra Pde. Turn left into Alexandra Pde. We are 1km down on the left (just after 2nd set of lights). Turn right after the Sunshine Plaza on to Horton Pde. We are 2km down on the right hand side (just past McDonalds). 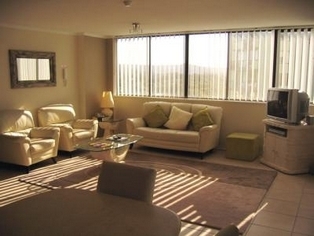 Aside from being only 100 metres from the beach, Beachfront Towers is situated close to the Sunshine Plaza (great shopping) and only a short drive from many of the coasts premier tourist attractions. These include crocodile hunter, Steve Irwin and his Australia Zoo, Underwater World, Eumundi markets, Fraser Island and Noosa Everglades. The coffee shop, arts and craft circuits of the mountain villages in the Blackall Ranges Flaxton, Montville, Mapleton and Maleny are just a 30 minute drive. Tours can be booked at reception for these attractions and many others. Courtesy bus pick up from the front door is available for the Maroochydore RSL, Maroochydore SLSC and Alexandra Headland SLSC. Both surf clubs provide life guards and safe swimming between the flags all year round. Golf and bowls clubs are also nearby.